Press Releases - Helapet Ltd.
Our new double bagged poly-packaging supports multi-stage transfer of multiple gloves into cleanroom environments, reducing time, energy and cost. 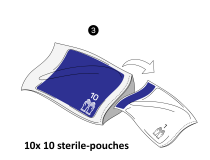 As of April 2019, our UK exclusive Berner Cytotoxic Neoprene Gloves will be supplied in new sterile poly-packaging as we move away from the use of cardboard dispensers. 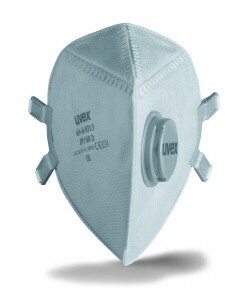 The removal of cardboard further reduces the risk of lint contamination from entering the cleanroom environment. 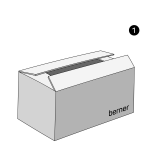 Although this change is effective from April, we will continue to supply the current packaging whilst stocks last, after which all supply of the Berner Neoprene Gloves will be in the new poly-packaged format. How will the new packaging affect me? 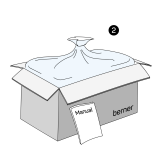 All sealed bags will be contained with a poly-liner, supporting the manual removal of gloves from the carton and preventing cardboard particles from adhering to the outer bags. Our new double bagged sterile packaging also supports multi-stage cleanroom transfer by helping to reduce transfer disinfection time and labour. Each layer of the new glove packaging is fully labelled for easy identification of contents and key technical information such as gamma sterilised indicators. Our unit of sale, which is currently 25 pairs per pack, will increase to 100 pairs per pack. Although there is a unit of sale increase, the price per individual pair will remain unchanged. Similarly, the 5 year sterile shelf life will not be affected. 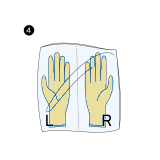 *Please note the numeric size values for the Neoprene gloves will not be included on the new packaging. However, all alpha and numeric size values will be listed in company literature and online. Helapet are delighted to announce that we have recently been awarded Silver Investors in People accreditation. 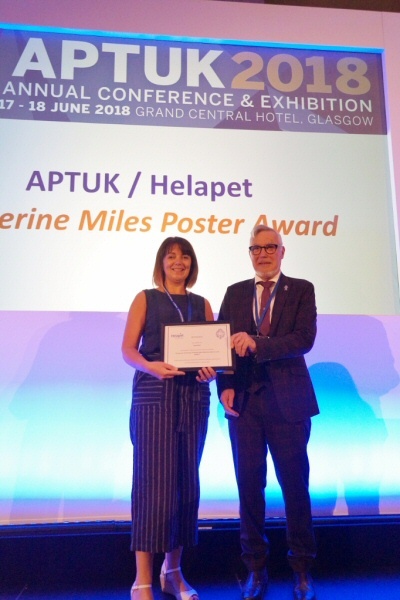 An international recognised standard that supports high business performance through the investment, management and support of its people, we are proud to dedicate this achievement to our amazing team and the terrific progress all have made in key areas of the Helapet business. To achieve Silver standard Helapet needed to meet all set indicators at the Developed level and at least seven indicators at the Established level. Following the two day assessment, Helapet showed it was meeting all indicators at the required standard, with five at the Established level, two at the Advanced level and two indicators at the Developed level. By definition, the vast majority of company processes were seen to be "engaging, activating and creating positive outcomes". Ben Miles (Managing Director) comments on this achievement: "Being awarded IIP Silver accreditation is a great achievement for us and a testament to the level of dedication and focus we place on our workforce. By adhering to our core values we have demonstrated what can be achieved by working together to create positive change"
Final comments from the IIP report acknowledges and praises the company's recent transformation: "The Company (Helapet) has made significant progress in the three years since its last Investors in People Review in all parts of the Standard. In particular, advances have been made in the areas of empowerment, management effectiveness, objective setting and employee engagement. A new Managing Director was appointed just over two years ago and he has brought a clarity and a vitality to the people processes and practices that support organisational success. 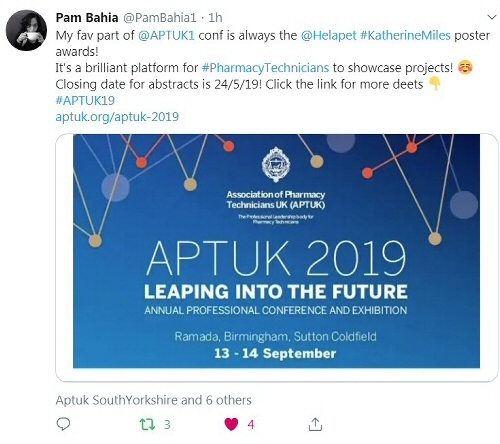 That such positive outcomes have been achieved in a relatively short time is testament not only to his energy and vision, but also to the efforts of every employee who has responded so positively to the opportunities for improvement this has presented". Temperature controlled products are products which are actively or passively controlled at a level different from the surrounding environment. This is one of the most vital parts of transporting temperature sensitive products. Vaccines are transported in refrigerated containers to surgeries and local vaccine storage facilities where they are then stored in special vaccine fridges. Keeping the vaccines within the +2°C and +8°C temperature range throughout this process is 'maintaining the cold chain'. Having products too cold causes deterioration or too warm can render the vaccine inert. Vaccines need to be stored and managed correctly so that immunisations are carried out safely and efficiently reducing the risk of compromising the quality, efficacy and safety of the vaccine program. Having a reliable system ensures that your products are not compromised when in transit. 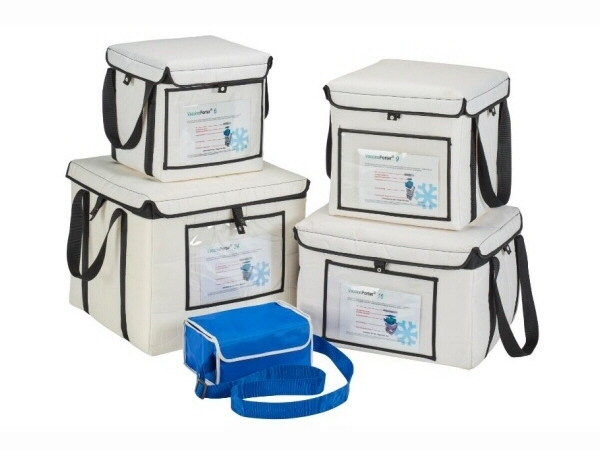 The VaccinePorter® range allows for a safe controlled transit of temperature sensitive products between +2°C and +8°C for up to 8 hours even with multiple openings. Validation documentation assures you that the controlled product will be safe in transit. 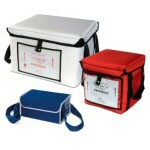 Porters are available in various sizes allowing flexibility in vaccine transportation. Each Porter comes with a lightweight fully replaceable polystyrene inner surrounded by a strong bag with secure Velcro fastening and a tamper evident facility. In order to maintain the validation for each Porter, regular visual and weight checks are to be carried out to the cool pack ensuring the weight and product is not compromised. The polystyrene inner will also need to be checked for and chips or damage. These signs could affect the validations and will need to be replaced before use. To learn more or to request a product demonstration please call 0800 0328 428 or email sales@helapet.co.uk. As part of our growing portfolio of sterile syringe caps and transfer devices, Helapet Ltd have today unveiled new sterile consumable products for 2017. Female Luer Lock Connectors for luer lock syringes facilitate safe, contaminant-free transfer of fluids from a master syringe into smaller doses. Manufactured using latex-free and non-pyrogenic materials, our double ended Luer Lock Connectors can be securely applied to male luer lock syringes preventing the risk of leaking and possible contamination. Technicians now have more control in the sterile preparation of syringes, with a choice of Luer Lock Connectors to suit individual application. The Female Luer Lock Connector has an ergonomic, rounded design with a spacious pathway to facilitate rapid and efficient transfer of fluids between syringes. Our unique Luer Lock Micro Channel Connector includes a narrow bore pathway for precise transfer of smaller doses, leaving minimal residual waste between syringes. Delivering valuable accuracy the Luer Lock Micro Channel Connector is perfect for paediatric medicines, small syringe sizes and high value medications. 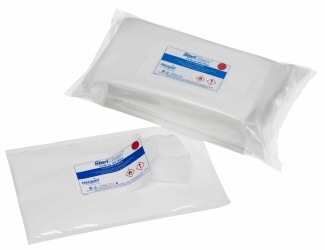 Both Luer Lock Connectors are supplied individually blister packed making them deal for disinfection and non-touch application to the syringe. Tamper-evident IV Syringe Caps for luer lock syringes are a practical, cost-effective solution for the protection of syringes once they have left the sterile preparation area. 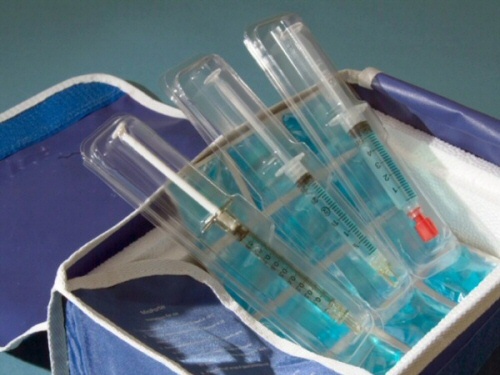 An easy-to-use alternative to sticky tamper-evident tape or shrink wrap, Tamper Evident IV Syringe Caps maintain the product integrity of the syringe and allows clinical professionals to visually identify any evidence of tampering before administration. Manufactured from latex-free materials, each cap can be applied to a luer lock syringe using the specially designed sterile tray packaging. 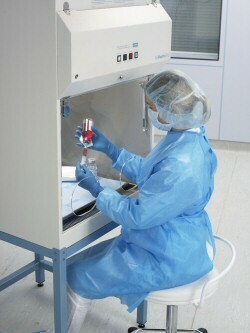 Each sterile tray contains ten caps that are individually secured with a simple twist of the syringe, negating the risk touch contamination and enhancing aseptic technique. 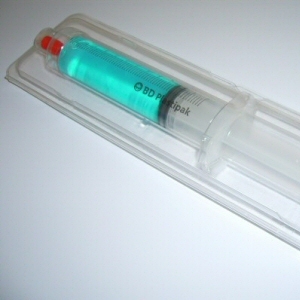 Simple and easy-to-use, Helapet's new Tamper Evident IV Syringe Caps offer excellent value in maintaining drug safety. For more information or to place an order, contact Helapet on 0800 0328 428 or email sales@helapet.co.uk. FREE samples of all our new products are now available on request. In partnership with DPD, Helapet customers now have the opportunity to receive advanced notification of forthcoming deliveries, supporting successful first-time receipt of essential products. 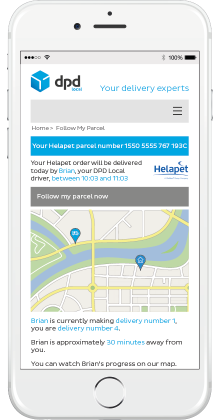 Nominated delivery contacts will receive personalised text messages and emails advising them of a Helapet delivery. We understand that our customers need their products arriving on time and to the right location. This is why our notifications will include delivery dates, times and location, with additional facilities allowing customers to track shipments and even amend the delivery schedule. 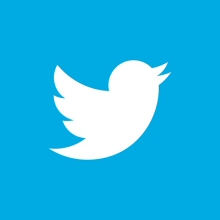 Nominate an appropriate contact to receive delivery notifications. 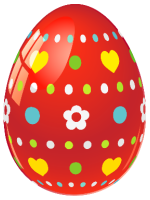 This can include a mobile number and/or email address. Contacts can be updated as regularly as required. Once parcel has been despatched, the delivery contact will receive a notification informing them of the delivery date and provide options to reschedule. Once the parcel is out for delivery, the delivery contact will receive additional notification with a delivery time to within a 1 hour window. This is a completely free, complimentary service for all Helapet customers. If you have a specific question, please contact our front desk on 01582 501980. It's here... The latest edition of our VaccinePorter® and BloodPorter® carrier brochures, now available in print and on digital download. 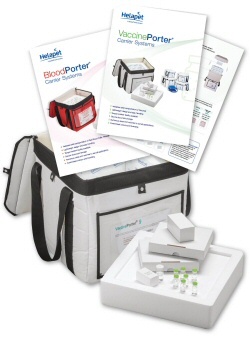 Both four page brochures provide an easy overview of our Porter carrier systems, designed for the safe transportation of temperature controlled products including Vaccines, Red Blood Cells and Platelets. Choose the correct Porter size for your application by using the internal and external dimension information detailed inside. You can even tailor design your carriers by choosing from a range of colour options and bespoke branding. 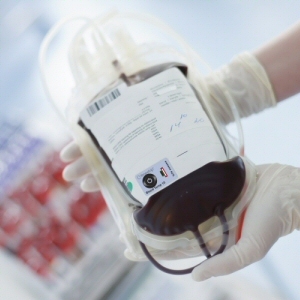 Did you know that Helapet also offer temperature controlled carriers for TPN bags and Human Plasma too? For additional customer service and technical support, full contact details are included in the brochure. 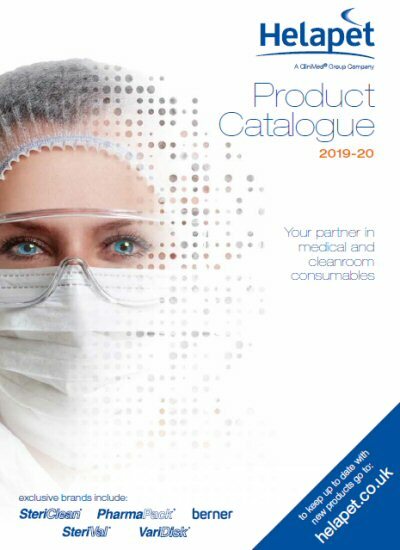 Request your preferred Porter brochure by emailing us at sales@helapet.co.uk or contact us directly on (0)800 0328 428. Our new enhanced Vented Vial Adapter introduces a larger integrated air filter, providing rapid and reliable equalisation of pressure within a vial. Increased flowrate performance provides effortless and reliable drug withdrawal saving on preparation time. 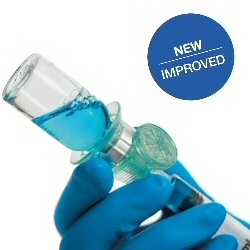 Our new Vented Vial Adapter retains the unique benefits of the original with stable, needle-free access to standard drug vials, whilst preventing exposure to cytotoxic contamination. The low profile design minimises priming volume for accurate dosing, and the irremovable skirt design provides added security. Order your free samples of our new Vented Vial Adapter online, or contact us direct on (0)800 0328 428. Helapet are pleased to introduce a replacement 20mm Vented Vial Adapter to our extensive range of syringe venting products. The new enhanced design introduces a larger integrated vent filter, providing increased flow rates and reliable performance when drawing-up cytotoxic drugs and other hazardous medical solutions. 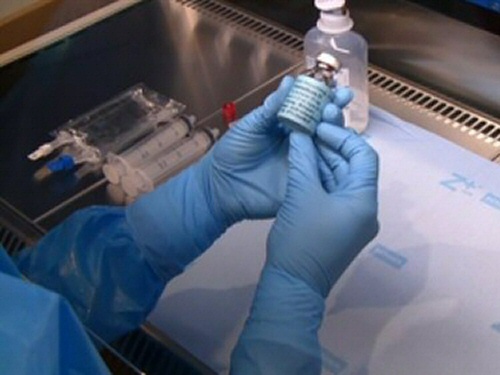 Vial venting is a critical part of the transfer process between vial to syringe when handling substances that could otherwise contaminate the user via spray droplets or harmful aerosols. Helapet Vented Vial Adapters provide stable, needle-free access to standard drug vials for safe and precise drug reconstitution, whilst preventing exposure to cytotoxic contamination. Whilst retaining its low profile design to minimise hold-up volume, the new larger air filter allows rapid and efficient equalisation of sterile air in the vial for effortless withdrawal and greatly improved flow rates. 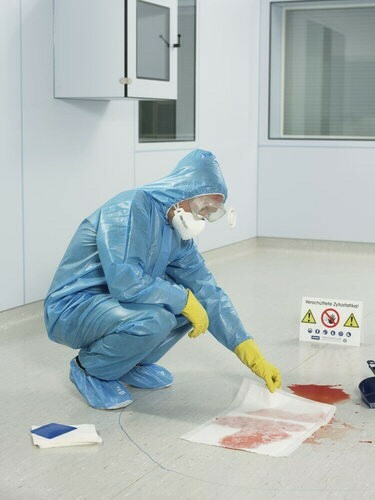 SteriClean® FloWrap wipes offer exceptional cleaning and sanitising performance for cleanrooms and isolators. Aseptically impregnated with high performance Isopropyl alcohol IPA or Denatured Ethanol (IMS), Helapet FloWrap wipes are designed to be tough on contamination without leaving undesirable residues. Each low linting wipe comprises of a tough, highly absorbent 68 gsm polyester/cellulose material, allowing quick and rapid disinfection of surfaces without the risk of shredding which could compromise the sterile environment. Ready folded in 10 and 100 wipe multi-packs and individually accessed from the paper-free pouch, allowing staff to easily manage their usage. Produced in an ISO Class 5 environment, each FloWrap pack is double bagged and gamma sterilised to no less than 25KgY supporting aseptic transfer into critically controlled environments. 'Peel and reseal' labels allow each pack to be sealed between wipes, avoiding the risk of unused wipes drying. Users are left with only a thin piece of polythene to dispose of once the pack is fully used, ensuring less waste to dispose of and maintaining valuable work space. This makes Helapet FloWrap wipes an excellent option for confined environments such as isolators and an ideal alternative to bulky tub wipes. Whether you require our FloWrap impregnated wipes, dry wipes or individual alcohol wipes, you can rest assured we have a solution to meet your needs. Order your free samples of our FloWrap range by contacting us on +44 (0)800 0328 428 or email sales@helapet.co.uk. 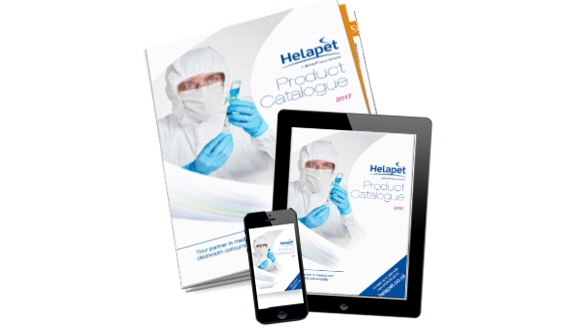 Supporting Vet professionals in choosing the correct type of protective equipment when handling cytotoxic solutions, Helapet are delighted to launch our new dedicated Veterinary Supplies Catalogue. 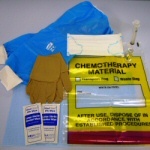 Recognising the protective needs of Vet professionals who are increasingly required to handle potent drugs for chemotherapy treatments, our Veterinary Supplies Catalogue offers a handy guide for locating suitable protective consumables which can reduce the risk of exposure from spills, splashes and aerosol's. Available in hard-copy and online, each product section is colour coded to match the relevant categories on our website. A handy guide on the common routes of cytotoxic exposure is also provided. 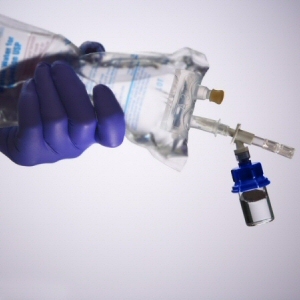 With over 30 years' experience, Helapet are dedicated in supplying safety consumables, in response to the growing use of chemotherapy and associated risks of exposure in the workplace. Needle-free venting at its best. Supporting GMP in compounding operations where exposure to potent drugs may occur, Helapet introduce our NEW range of single-use Vented Vial Adapters for stable, needle-free vial access. Helapet's new Vented Vial Adapter range incorporates a 0.2µm bilateral air filter, allowing safe sterile venting of cytotoxics and other hazardous substances. Designed for high chemical resistance, the Vented Vial Adapter is evaluated against a selection of drugs known to adversely affect the performance of other polymeric devices. 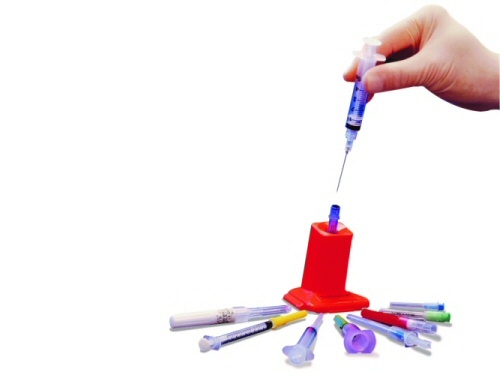 Compatible with standard 13mm and 20mm vials each device utilises a non-coring plastic spike surrounded by a snap-on skirt to securely fasten onto vial tops, granting stable luer lock access to a syringe. An integrated grip allows easy handling whilst reducing contact with the luer connection. 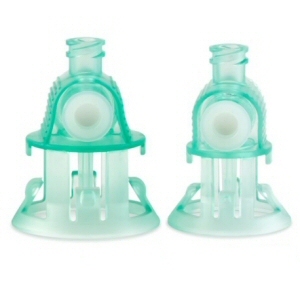 The novel skirt design prevents the subsequent removal of the adapter from the vial, offering excellent security and reducing the risk of cross contamination. With an increasing requirement for needle-free technologies within aseptic manufacturing and medical healthcare, Helapet are pleased to introduce the Vented Vial Adapter range, sterile and individually blister packed for clinical and cleanroom working operations. Celebrating 30 years as a leading supplier of cleanroom consumables and sterile in-line filter devices, Helapet Limited have entered into a new sales agreement with UK isolator manufacture Cirrus Containments. Enhancing Helapet's extensive product portfolio, clients are now offered a complete containment solution with new tailor designed isolator units. Cirrus containments aseptic isolators create a reliable, ultra-sterile environment through the use of superior barrier isolation technology which provides unprecedented levels of protection for the product and the operator. Each isolator is purpose designed and built to meet the diverse requirements of isolator users including hospital pharmacy, pharmaceutical manufacturers and nuclear medicine. Ergonomically designed to minimise space and modular constructed to meet the specific needs of the client, Cirrus Containments isolators maintain high standards of user safety whilst minimising the risk of fatigue or discomfort. 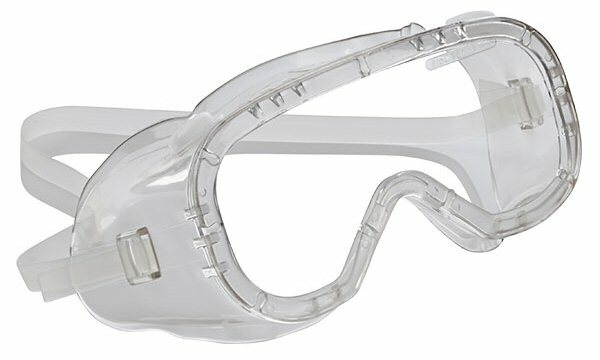 John Blight Managing Director comments - "The welcomed addition of Cirrus Containment Isolators to our ever growing line of specialist containment products, mean our customers can expect an increasingly comprehensive range of solutions to help reduce the risk of product and user contamination in the workplace." For further information contact info@helapet.co.uk or call +44 (01582 501980). 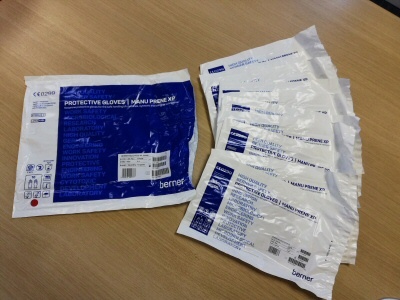 Feb 2014 - Berner XP Spill Kits - Now gives you extra! Helapet's new range of latex-free cytotoxic XP spill kits now offer you extra safety, extra comfort and extra piece of mind. 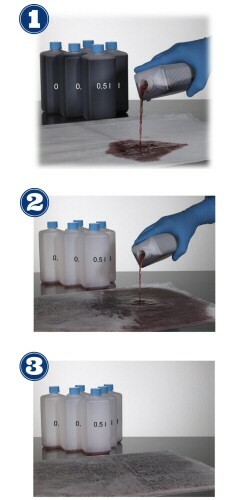 Berner cytotoxic XP spill kits represent the highest standard of safe cleaning and decontamination for wet and dry spills, using essential utensils packed in the order for which you need them. Our new range of XP spill kits introduce Active Breath coveralls and overboots for enhanced protection and comfort from head to toe. 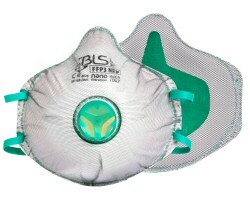 Active Breath materials combine high permeable coating on the front with a breathable area on the back, using spray safe seams to maintain full compliance with European Standards. New skin friendly vinyl overgloves provide excellent latex-free chemical resistance, with textured finger-tip and palm surfaces for improved grip. Offered in a new range of multiple size options, there are now more choices to suite your coverall and glove size preference. Continuing Helapet's commitment towards total user safety, we offer FREE training sessions on the proper use of all our spill kit products. 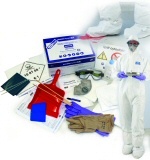 Using interactive formats adapted to your department, Helapet spill kit training covers essential elements in spill control to guarantee complete confidence and peace of mind. 2014 marks the 30th anniversary for Helapet Ltd as a leading UK supplier of cleanroom consumables and in-line filtration solutions. Starting business in 1984, Helapet established a strong reputation as a hi-tech disposables supplier and importer to the cleanroom industry. 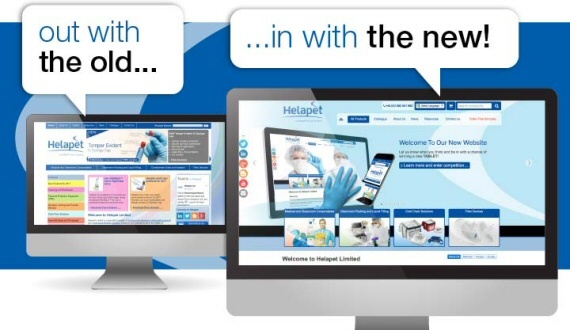 Since then Helapet has expanded into multiple new markets including Healthcare, Pharmacy, Pharmaceutical Manufacturing, and Filtration, offering innovative product ranges whilst maintaining high standards of customer service and technical support. In 2002 Helapet became part of the CliniMed (Holdings) group, advancing the companies consistent growth and unlocking more business potential. Today Helapet operates a 20,000 sq ft facility containing state of the art cleanroom facilities and employing over 25 staff from its headquarters in Houghton Regis. John Blight, MD of Helapet comments - "In the face of economic challenges and ever changing markets, Helapet has continued to prosper with exciting strategies, increasing supplier partnerships, and strong investment in future projects. With our dedicated Helapet team and partners across the globe, Helapet will now look to the next 30 years as an innovative and trusted provider"
To mark this big milestone, Helapet have dedicated a new anniversary logo until the end of 2014. 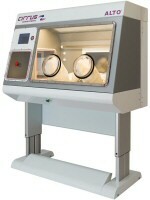 To learn more about Helapet please visit www.helapet.co.uk. 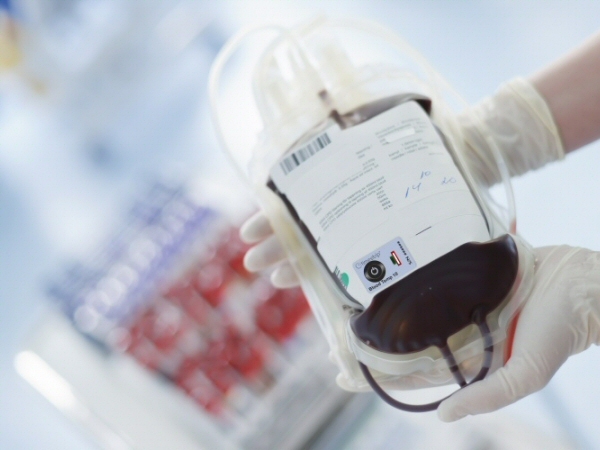 Supporting critical decision making for the re-issue of removed blood bags from controlled storage, Helapet are pleased to offer the Blood Temp 10 breach indicator as an auditable and convenient alternative to the "30 minute rule". In the vital drive to reduce needle-stick injury, Helapet are delighted to introduce the NeedleSafe II™ as the safe, easy-to-use solution for the uncapping and re-capping of needles. Offering superior protection, NeedleSafe II™ allows customers a simple single-handed method of uncapping and re-capping needles across a universal array of healthcare applications. Small, lightweight and highly versatile, this innovative medical device can eliminate the risk of needle-stick exposure without taking up valuable workspace. Available exclusively to Helapet in the UK and Ireland, NeedleSafe II™ has been designed to be totally re-usable, significantly reducing medical waste and associated disposal costs. An internal gripper core allows NeedleSafe II™ to fit with several needle types including IV Catheters and Phlebotomy sets, providing essential protection whenever and wherever required. The vast applications of NeedleSafe II™ are complimented with a detachable mounting bracket that can securely fasten the assembly horizontally or vertically onto any surface. 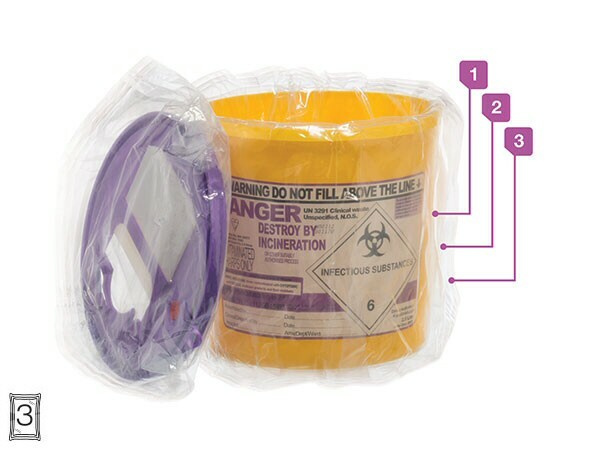 Users can easily detach NeedleSafe II™ and clean using a number of techniques including autoclaving, ethylene oxide gas, or simple alcohol disinfection. NeedleSafe II™ has already achieved high global recognition, having been adopted to support needle-stick injury reduction in several healthcare departments. To see the benefits yourself simply call our UK freephone 0800 0328 428 or email sales@helapet.co.uk to request your free trial. Enhancing the protective properties of Nitrile with a new unique blend, the new Berner Nitrile Cleanroom glove guarantees over 8 hours of chemical resistance without compromising on comfort, grip or dexterity. Designed to meet the latest EN-374 and ASTM standards in permeation and viral testing, the Berner Nitrile glove offers exceptional protection against several hazardous substances including cytotoxics, bio-agents and viruses. The robustness of the nitrile composition certifies easy handling of long chemical exposures without the need for double gloving, saving on time and expense. Maintaining superior glove strength customers are treated to the highest level of touch sensitivity and ease of movement, with textured finger tips allowing safe handling of both wet and dry products. This ideal combination of strength and comfort is complimented with a long 300mm beaded cuff for additional protection above the wrist. Completely latex-free and powder-free, the new Berner Nitrile glove can be safely used by allergen suffers and in designated latex-free zones. Quality presented in low-particle poly-packaging, the Berner Nitrile glove can be used for precise chemical handling in upto Class 100 (ISO 5) cleanroom environments. As the exclusive UK and Ireland distributor for the highly regarded Berner brand of Personal Protective Equipment, Helapet are delighted to offer the new Berner Nitrile glove both sterile and non-sterile in a full range of sizes. If you are keen to learn more and receive free samples, then please feel free to contact us on UK freephone 0800 0328 428 or email sales@helapet.co.uk. 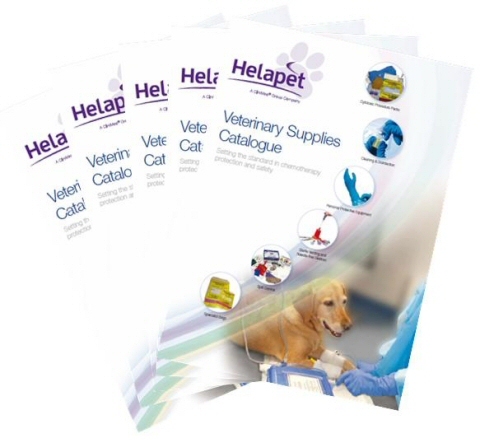 Helapet are pleased to announce the launch of our first dedicated range of Veterinary Cyto Procedure Packs. 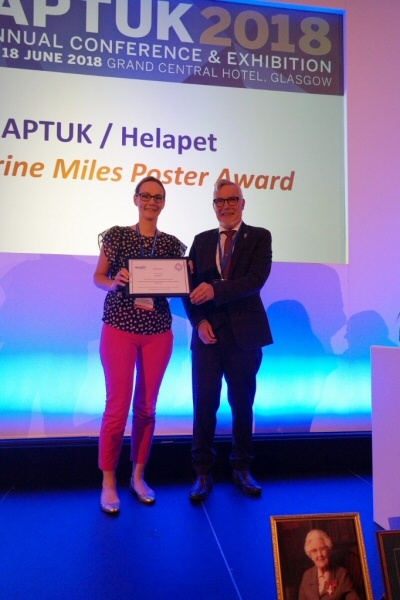 Based on research into the protective needs of vets administering chemotherapy, Helapet recognises the serious side-effects associated with cytotoxic exposure from spills, splashes and aerosol inhalation. Designed to provide confidence that you and your staff are fully protected when working with hazardous solutions, the Veterinary Cytotoxic Procedure Pack features a list of highly resistant apparel and essential disposables - all contained in a handy self-contained pack! 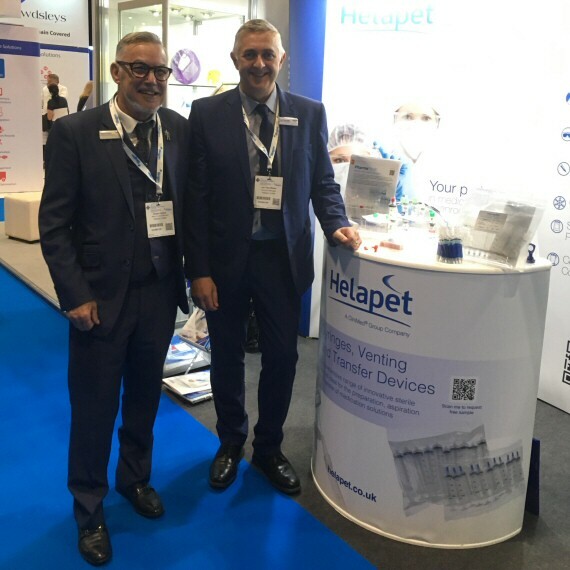 Continuing to expand on our specialty range of syringe venting, filtration and transfer systems, Helapet are delighted to secure a partnership with West Pharmaceutical Services based in the United States. Recognising the increasing use of needle-free systems in sterile and non-sterile clinical activities, Helapet are offering a quality range of sterile Vial Adapters and the innovative Vial2Bag® IV transfer device. Recognising the increasing use of larger pre-filled syringes in the manufacture and distribution of essential medical solutions, Helapet has expanded its innovative range of pre-filled syringe transporters to accommodate 30ml and 50ml size syringes. Whilst retaining excellent protective properties and a user-friendly opening and closure facility, the new 30ml to 50ml transporter size provides increased flexibility for specific sterile and non-sterile applications. Helapet are delighted to announce the anticipated extension to our range of specialist cold chain porter systems, especially designed to provide clients with a number of size, weight and volume options for specific cold chain transit applications. 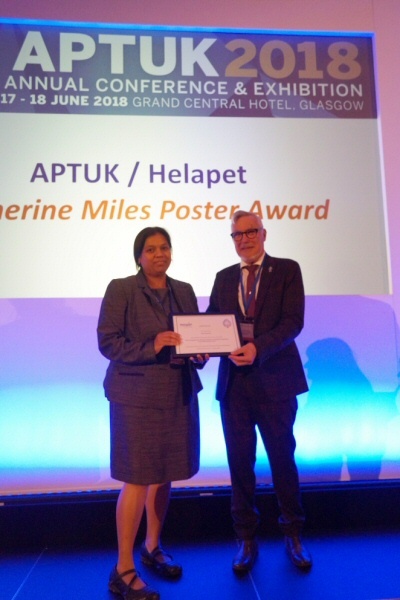 With an increasing need to reduce wastage and improve provision of drugs and medicines across the cold chain system, Helapet are offering a complete range of fully validated transportation systems for the safe delivery of vaccines, blood (red cells and platelets) and other temperature sensitive products. Helapet are delighted to introduce the new rigid Syringe Transporter, ideal for the safe and economical transport of prefilled, needleless syringes. Suitable for 1ml, 3ml and 5ml sizes, the Helapet Syringe Transporter provides an excellent protective barrier from the cleanroom to the end user. .